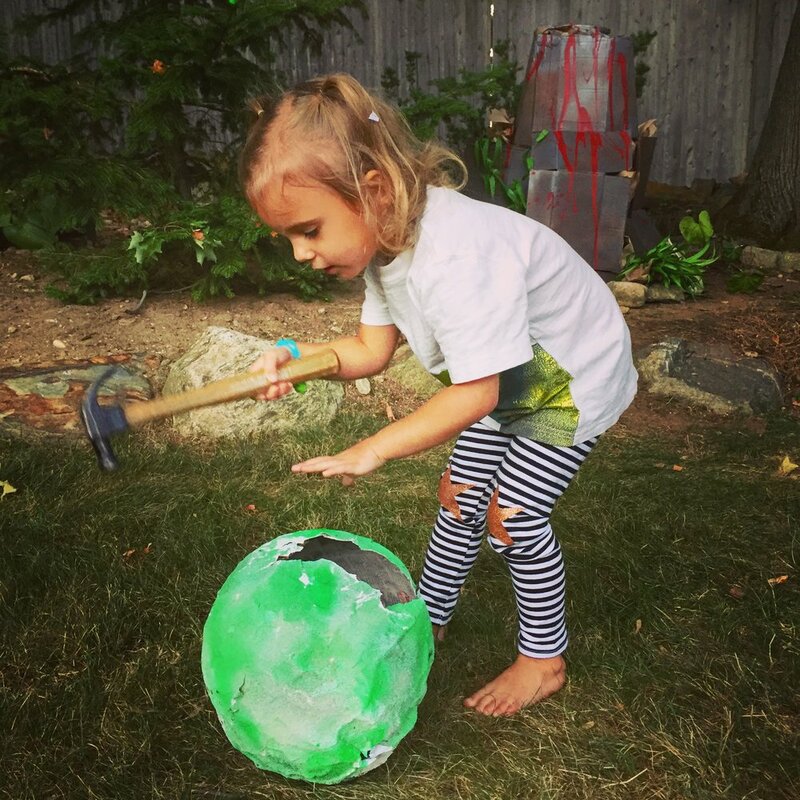 Stomp dinosaurs, crack geodes, and excavate bones, all while wearing a tutu and crown! Glittering dinos are right at home with utility goggles and hammers. 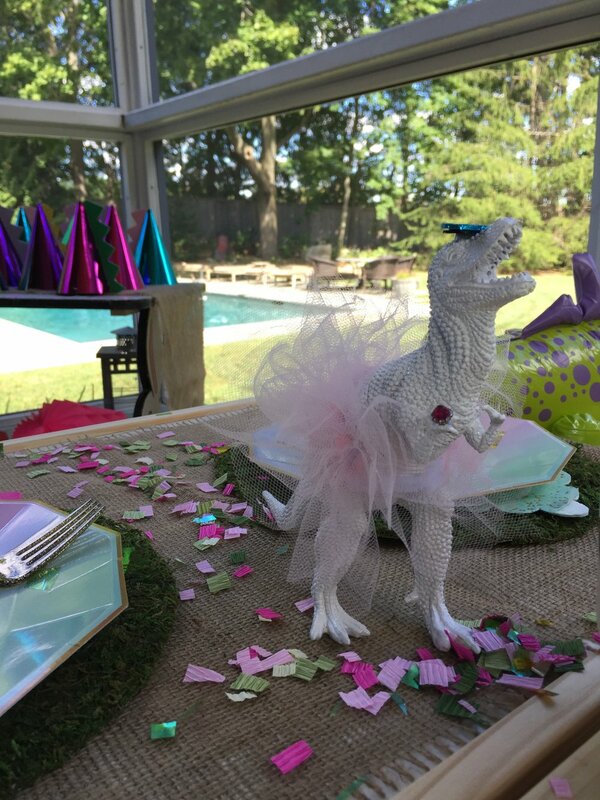 Edie has turned three and having an equal love of dinosaurs and ballet the T-Rex and Tutus theme was born. 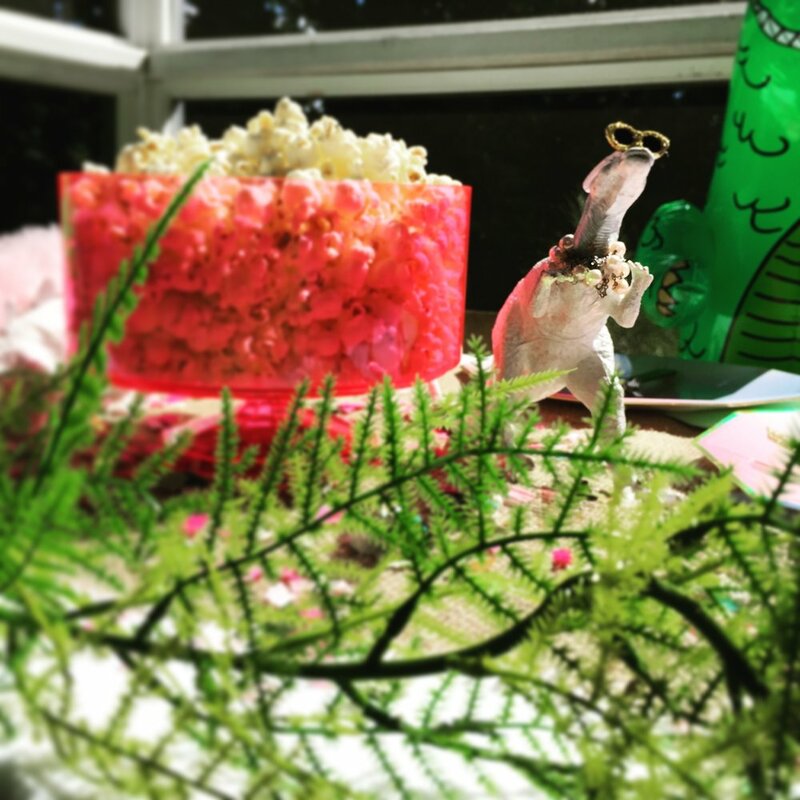 The decor was Jurassic chic. 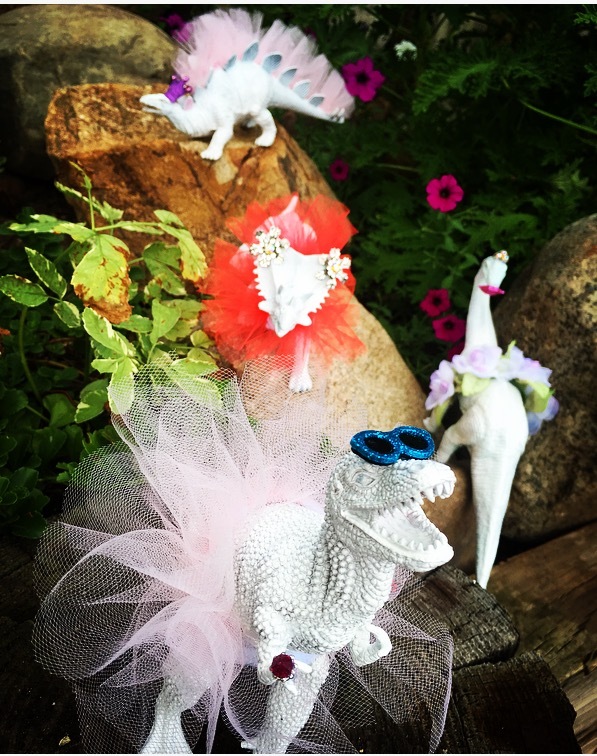 Ferns danced with hand painted dinos adorned with jewels, tutus and sunglasses. The children noshed on veggies and pizza before eating cupcakes covered in rock candy and "dirt cups." 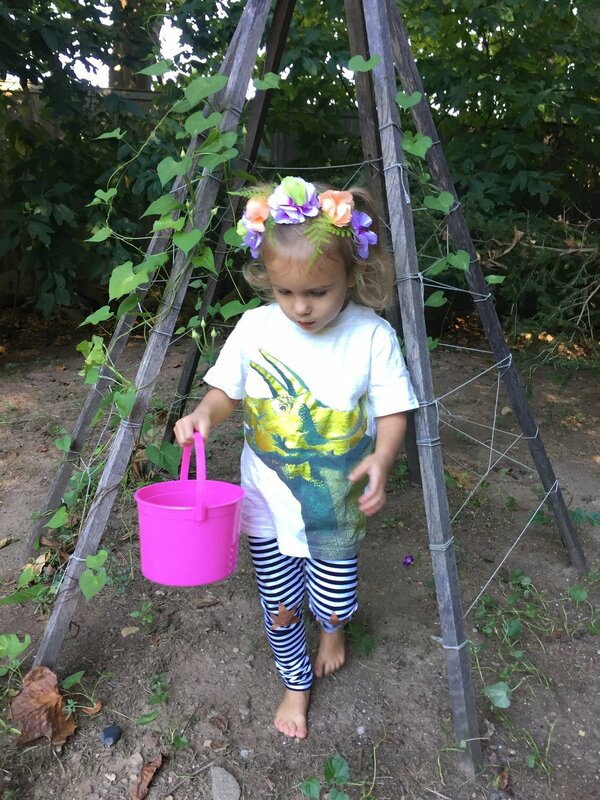 The children all lined up and hunted for dinosaur eggs while winding through paths of greenery and stumbling upon a secret dinosaur egg nest and ending at a homemade volcano. 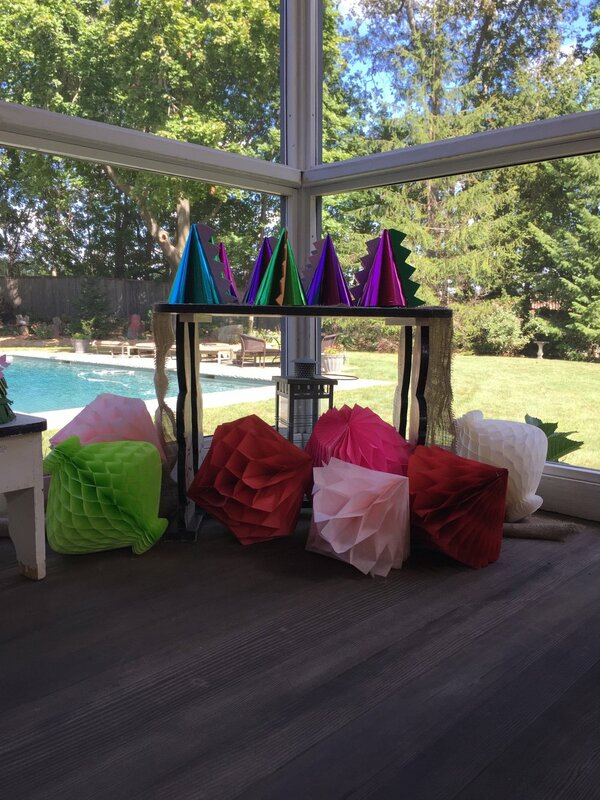 The highlight of the party was when all of the children gathered to hit the custom EDIE pinata in the front yard. 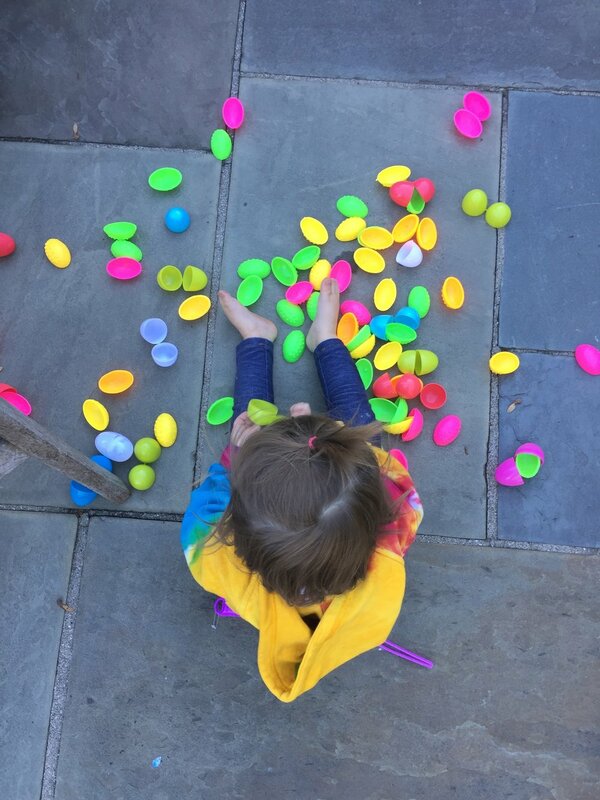 After many attempts the pinata broke open and a shower of confetti, candy and toys rained down. All of the five senses were full engaged and everyone went home with a grow your own crystal tree.